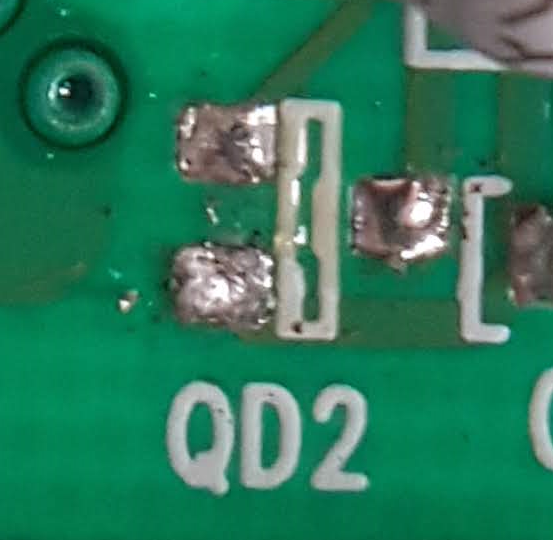 I'm trying to find out what element is the one that is on the PCB that is labeled as QD2. On the body it has mark W16 and 95, but I couldn't find anywhere on internet what this element is. This is from the dishwasher PCB. I believe it's not transistor. 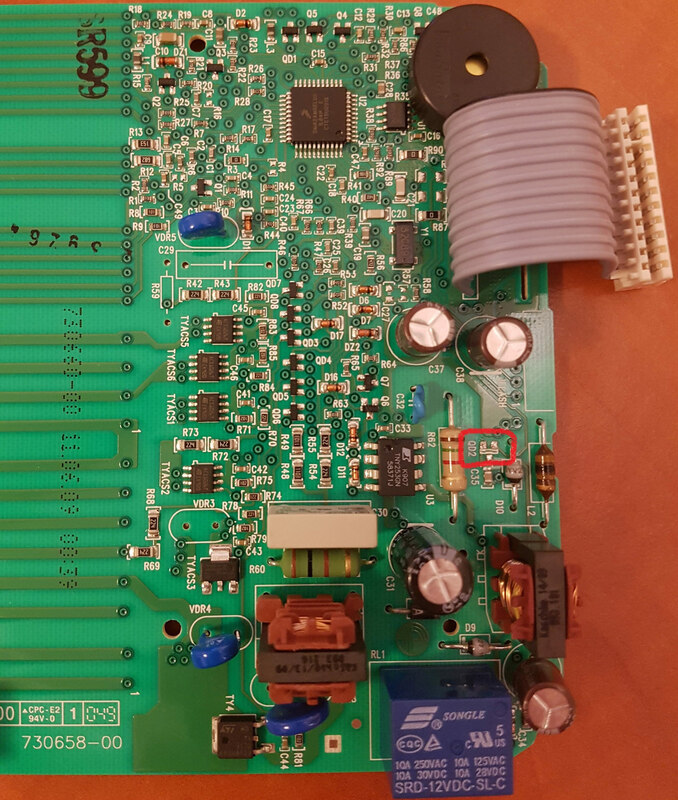 It's an NPN pre-biased 100mA/50V transistor with 10K series base and 10K shunt emitter-base resistors. P.S. The QD2 device appears to have suffered a traumatic death. Suggest checking the flyback diode as they sometimes fail short (especially the LL4148 variety), which of course will kill any replacement. 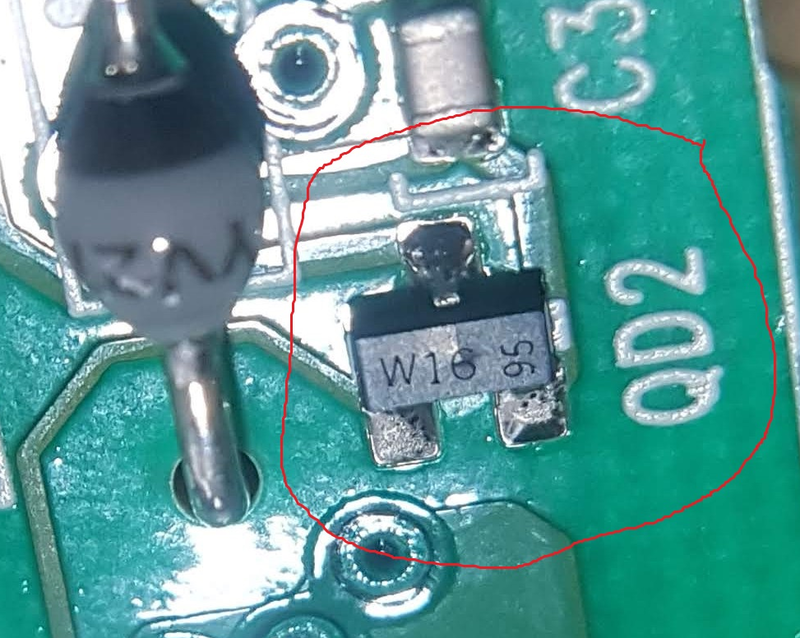 How to identify this SMD device from the code on top of the component?